The Puerto Vallarta and Riviera Nayarit convention and visitors bureaus are holding a press dinner for the top media outlets in New York City as part of the activities of the Riviera-Nayarit East Coast Road Show. The exclusive dinner will be held at noon on October 29th at the Rosa Mexicano restaurant, a Big Apple eatery that highlights the many flavors of Mexico. Over 40 journalists have confirmed attendance. Top press representatives include personnel from the BBC World Wide, Condé Nast Traveler, Elite Traveler, Fodors.com, Forbeslife & SHAPE, Good Morning America, Meetings Focus, Out Magazine, Sherman;s Travel, Successful Meetings, Travel+Leisure, Travel Weekly and Vogue. The event will serve to reinforce the “Vallarta-Nayarit, Live it to believe it” campaign spearheaded by the Mexico Tourism Board. Executives from the CVBs of both destinations will be on hand to “spread the good news” to their guests. The purpose of the NYC tour is to promote the new airlift coming this winter with new routes from the JFK International Airport to Vallarta-Nayarit: twice weekly via Aeroméxico and once a week via Delta Airlines. 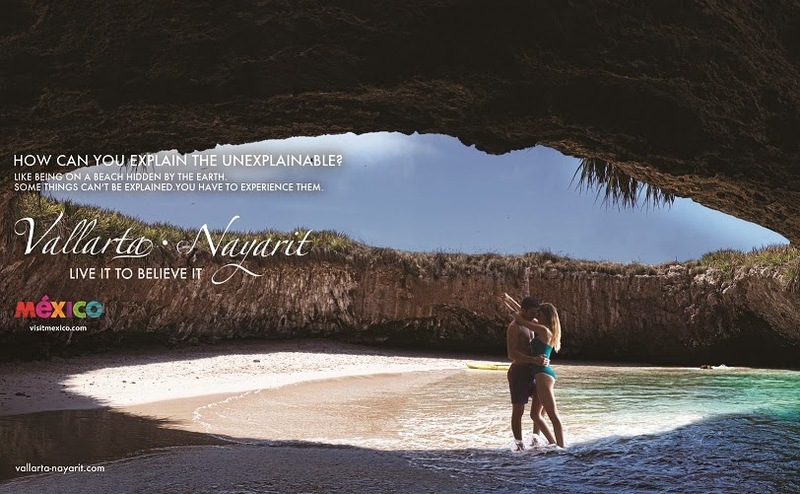 This, in addition to the already existing connectivity aboard United Airlines via the Newark Airport, opens the possibility of doubling the amount of New Yorkers visiting Vallarta-Nayarit this winter. The speakers will address the growth of the North American travel market, thanks in part to the joint efforts of the Vallarta-Nayarit campaign. The news includes details on new hotels, the variety of available tourist attractions, sports events and our exquisite culinary arts. The event will also serve as an invitation to our Northern neighbors to learn about the traditional Day of the Dead celebrations.